Newly Renovated 2 bedroom / bath apartment with great light in an elevator building. 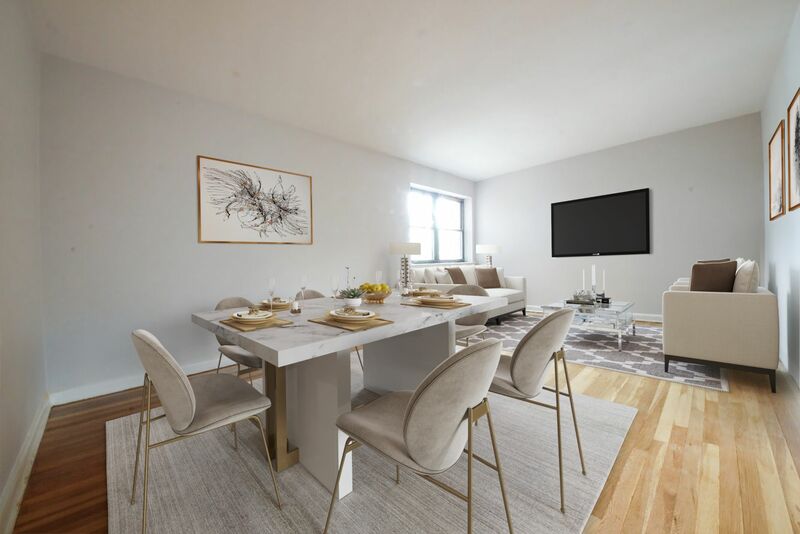 Apartment features include: Brand new windowed kitchen with white shaker cabinets, stainless steel appliances, Quartz counter tops, Beautiful tiled backsplash and wood looking tiles. Other apartment features include, lot of closets, an updated bathroom, hardwood floors, new light fixtures and more! Walking distance to the train, restaurants, shopping and entertainment.